Oh, well. I was looking forward to reading your Master/Maid experience, the best article I’ve ever read. 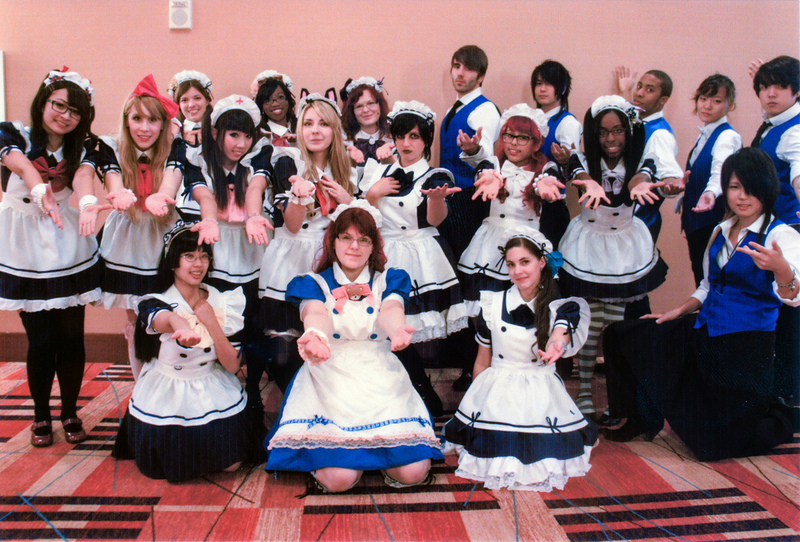 I also went to maid cafe at Anime Los Angeles, and couldn’t become a Master that Nietzsche talked about. Maybe con’s maid cafe is hard to be a Master since too many customers? The photographs look awesome though. AUSA is just around the corner. I can transform into a Master soon enough! Please remove the video from this review. It was not discussed beforehand and violates our generous press policies. If you wish to discuss this further, please contact me at maidcafe@otakorp.org. The links have been removed. We apologize for the oversight and will ensure that this sort of action does not happen again. Some of the complaints made sounds like it’s more or less out of the con’s control– especially as far as the selection of food since I’m pretty sure all of that is provided by the Hilton and the chances of them agreeing to serving actual food would be very slim, since venues like hotels very rarely change the menus and things they offer. And of course if catering was allowed, the costs to get a caterer might be too pricey as far as the cafe’s budget. 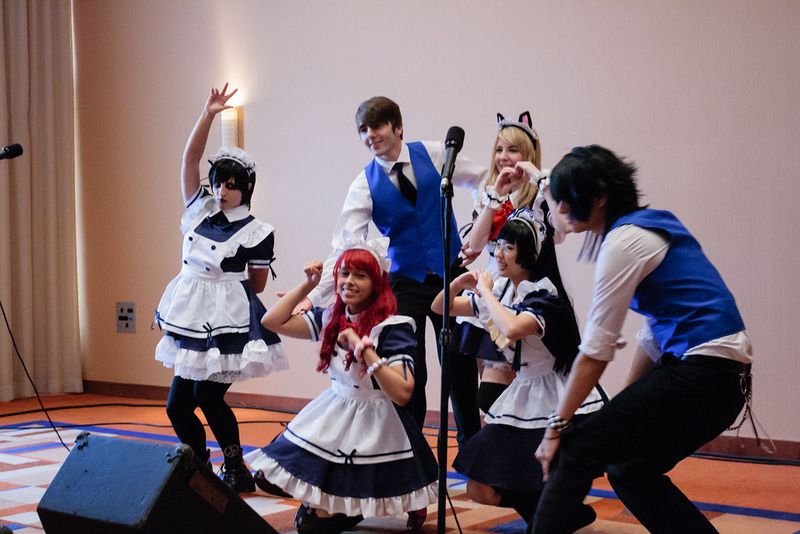 If I was a maid working at a convention, I probably wouldn’t want to be singled out by a customer. That could easily create problems (socially-inept people creeping or harassing certain girls multiple times over the weekend, etc. ), you also have the issue of certain maids being left out or ignored if ‘favorites’ could be picked out, them not having much to do, etc. 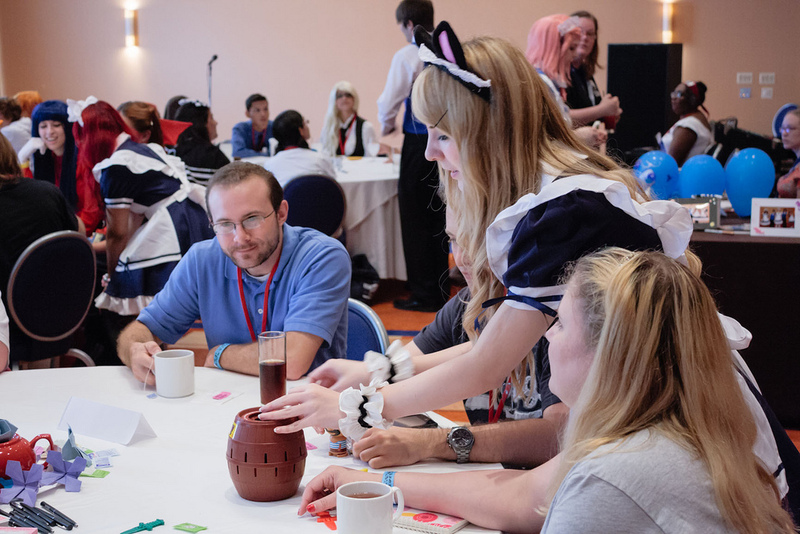 The random maid is good for not only the flow of whatever crowds they’d get from the convention, but helps exercise all the maid staff’s social skills and helps them become more accustomed and also gives the chance for all of them to actually develop little friendships or at least for everyone to be equally acquainted with each person. It’d be a bit different if it was an actual job where the girls were getting paid to go around and do that stuff, and in an actual establishment too. But I’m glad to see that they grew a lot from the first year, both in size and in how they run things. Hopefully in the coming years it’ll stay progressive as far as improvements and emulating the Japanese cosplay cafe scene.